Wedding Desserts Can Be More Than Wedding Cake — Triangle Pastry Co. 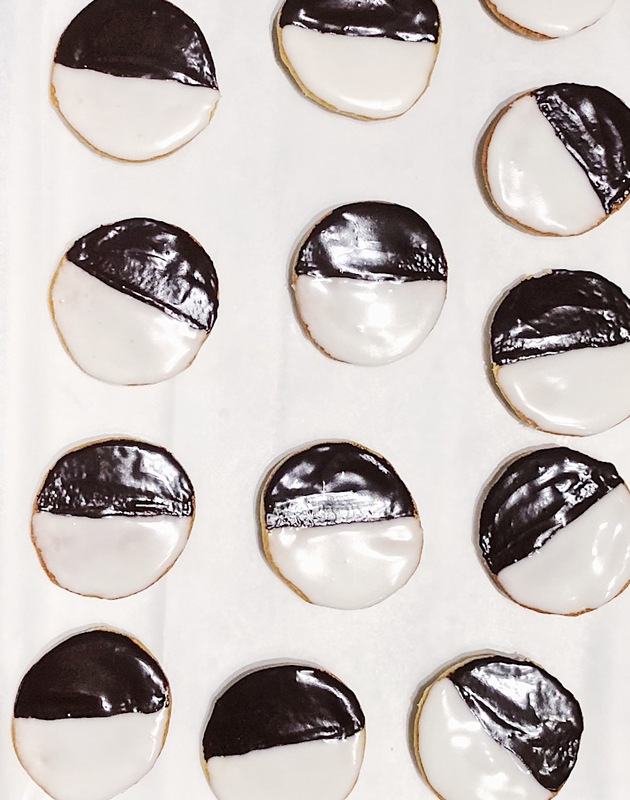 These Black and White cookies were perfect for a wedding dessert table at the Cannon Room in Raleigh, NC. The cookies and pastries I made for this styled shoot were inspired by the decorative geometric elements of the embellished architectural components at the venue and contrasting color scheme of the event. Tell me about your event and I will design a conceptually relevant menu for your reception. Yesterday was Triangle Pastry Co.'s first time participating in a styled shoot. I made a few different kinds of cookies for a cookie bar on a wedding dessert table. The idea was that you don't have to have just cake for your wedding dessert. A small piece of cake and a few different cookies or other treats (chocolate truffles, panna cotta cups, mini tarts, etc.) lend variety to the experience. As a baker at Magnolia Bakery in NYC, things were focused heavily on cake and cupcakes, but when I started working at Frenchie's in DC, I frequently baked pies, tarts, and cookies, for weddings -many couples chose to forego cake altogether in favor of their favorite desserts. I'm really excited to be able to offer a dessert bar service for events through Triangle Pastry Co. Just email me to set up a time to talk about your event. I also want to mention that this styled shoot with Kaitlin of Rowan Lane Events at the Cannon Room in Raleigh was especially noteworthy because it was a group effort to boost support for an inclusive wedding community. I believe the wedding industry should celebrate love. Period. I can't wait to share Audrey's beautiful photos (Rose Trail Images) when they are released. Follow my Facebook and Instagram pages for updates on the production.